(CN) – Dodging claims that it violated open government and transparency laws before voting to spend $10 billion on a contentious water project, California’s largest water supplier said Thursday it will vote again. 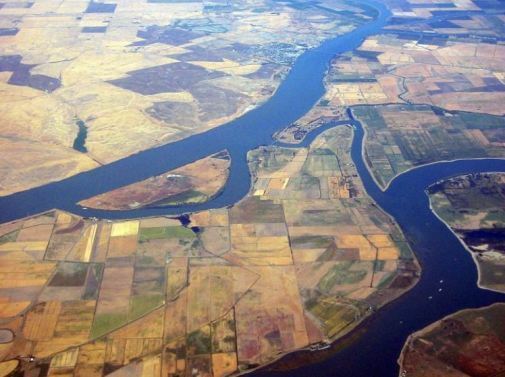 Despite acknowledging that some of its board members privately discussed the contentious project known as the Delta Tunnels before a critical April vote, Metropolitan Water District of Southern California insists it didn’t violate the state’s revered Brown Act. Hoping to shoo away complaints about the April 10 vote from environmentalists and free speech advocates, the water district which serves approximately 19 million residents says it will hold another public vote in Los Angeles on July 10. The vote figures to be nothing more than a procedural façade and produce the same outcome, as more water agencies have hopped on board to help fund the estimated $16.7 billion water infrastructure project since the vote. California’s landmark Brown Act ensures public access to local government hearings and limits private communication between members before voting on items. The act was passed in 1953 and is a companion to the Bagley-Keene Act regulating state government meetings. “We disagree that they didn’t violate the Brown Act and the fact that they decided to re-vote shows that they understand they didn’t do this correctly,” Snyder said in a phone interview. In the April vote, Metropolitan’s board agreed to pay for the bulk of the water project officially called the California WaterFix. The project, opposed by environmentalists but championed by Gov. Jerry Brown, calls for two 35-mile tunnels under the Sacramento-San Joaquin River Delta. The tunnels would funnel water around the West Coast’s largest estuary to farmers and cities in the south, including Los Angeles. In its 9-page memo, Metropolitan said board members that talked in private about the WaterFix had already previously voted in favor of funding the project so the private conversations didn’t influence the consequential vote. But the groups aren’t satisfied with Metropolitan’s front.